This project was in the making for over two months and takes the old “Tarantula Anatomy” design to the next level. It features over 1800 words about wide varying topics, covering many fascinating aspects of tarantulas most people are unaware of. The map shows the current known distribution of tarantulas around the world and has 180 megapixels on itself. The featured Scolopendra was specially bought for this poster. 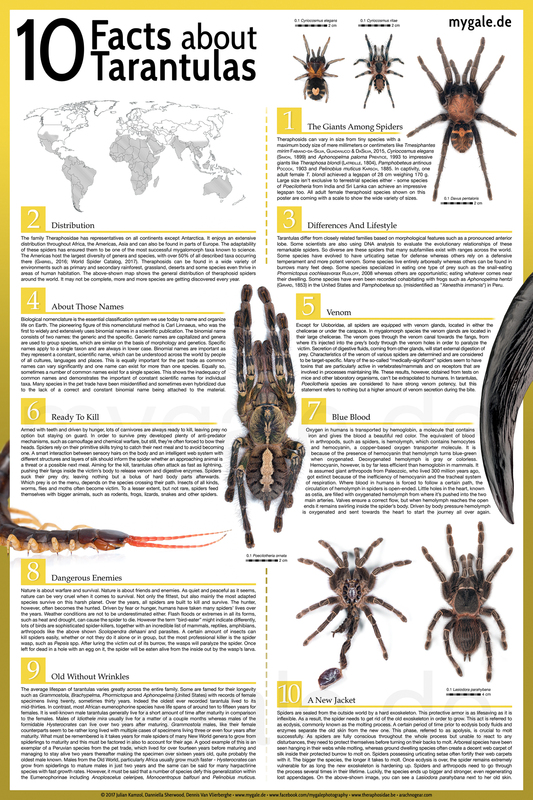 It’s the only poster that presents the tarantulas true scales.